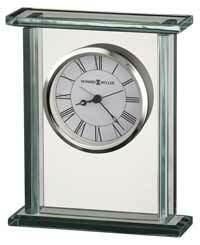 The Bulova B6213 Image Picture Frame Clock features a metal case with embossed mosaic pattern enhanced by glittering resin. 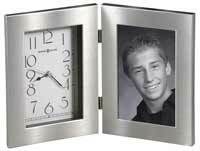 The left panel holds a 4 x 6 photograph in a horizontal position. 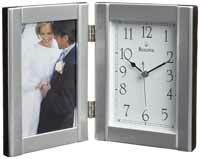 The right panel is a rectangular contemporary dialed clock with a white face and mirror-finished numerals. Requires one (AA) battery, not included. 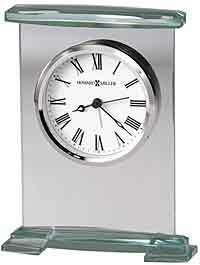 Clocks for sale at The Clock Depot including the B6213-DS at discount prices.